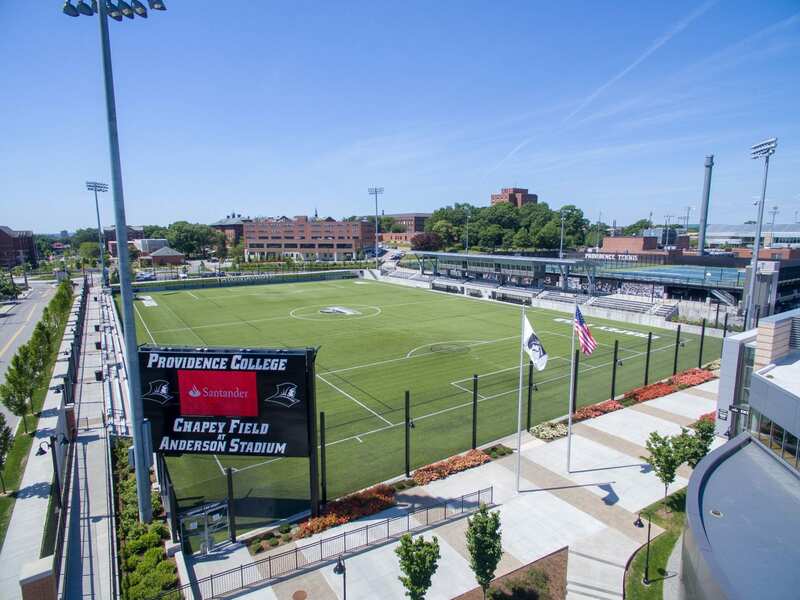 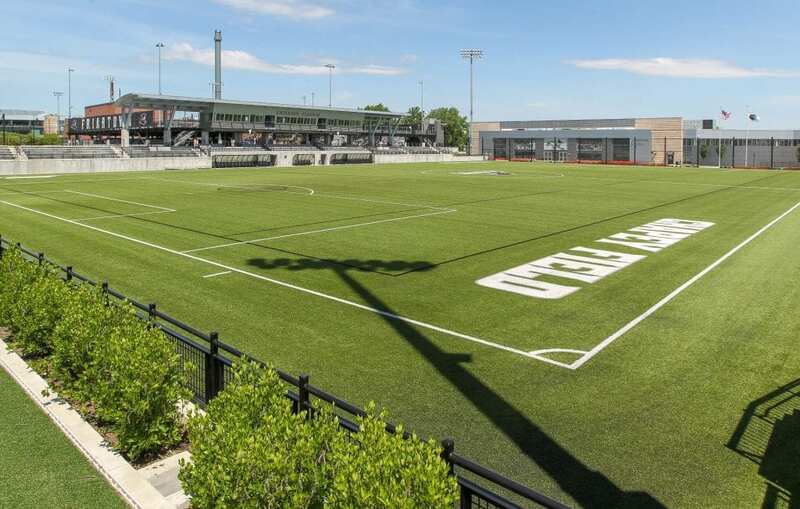 Home to the Friar women’s soccer team, men’s soccer team, and lacrosse team, Chapey Field at Anderson Stadium was constructed in approximately one year, between the spring of 2015 and the spring of 2016, when it opened. 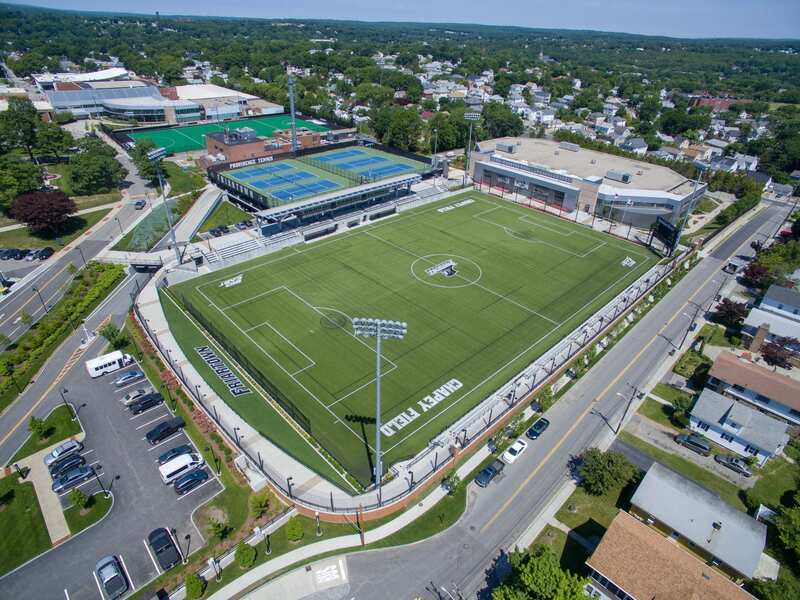 Adjacent to Schneider Arena, the stadium seats 1,500 spectators overlooking a state-of-the-art turf playing surface. 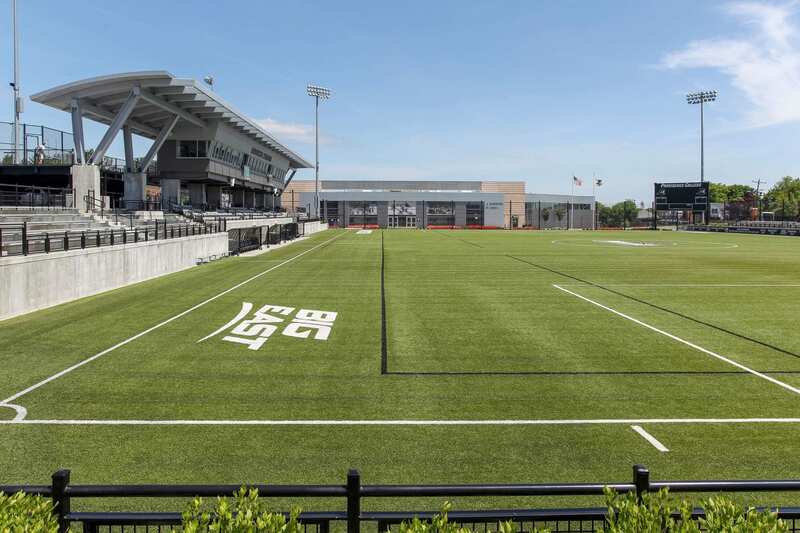 The facility also features a video board, a press box, and two luxury boxes for entertainment. 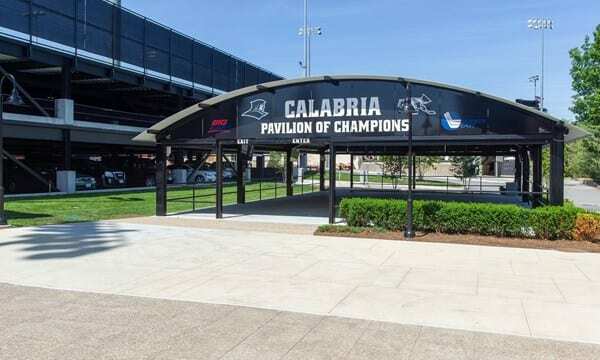 Fans can use The Calabria Pavilion of Champions for tailgating. The pavilion serves as a tailgate area for hockey, soccer and lacrosse games in addition to other athletic events throughout the year. 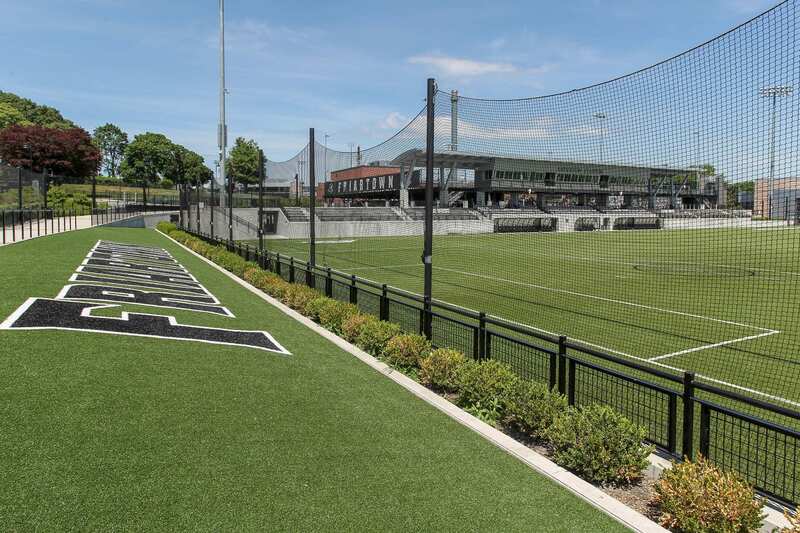 The facility is outfitted with an advanced audio/visual system and retractable siding. 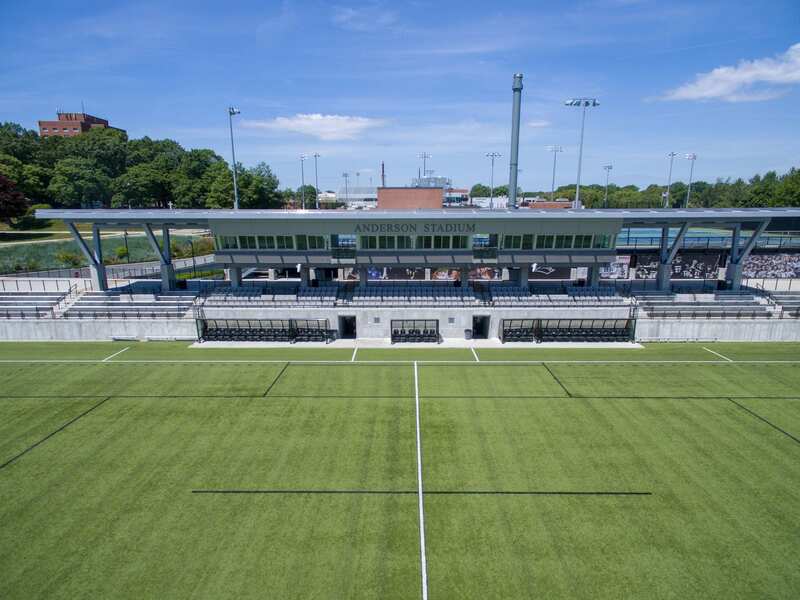 The pavilion was completed in August 2017.